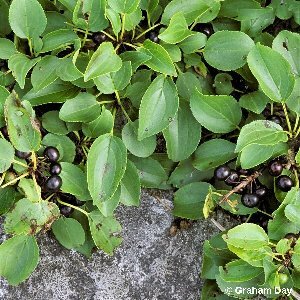 A small thorny native tree or shrub to about 16 ft (5 metres), mainly about the shores and islands of Lough Neagh, Lough Beg and Lough Erne. 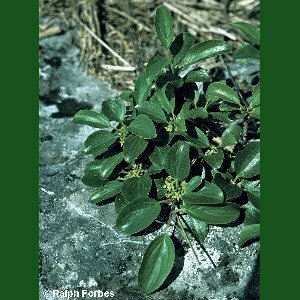 The leaves are pointed oval, turning yellowish in autumn; the flowers are tiny and green, with the male and female on separate trees. The fruit is a black berry. 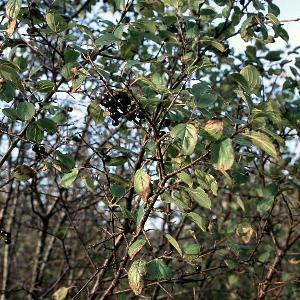 All names: Rhamnus cathartica L.; Rhamnus catharticus L.